You are here: Home / Business News / Want a Little Oils And Romance? 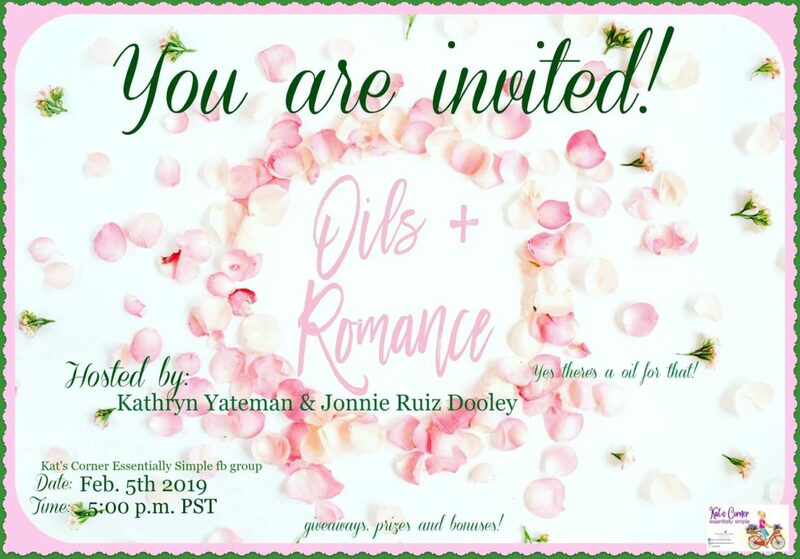 Want a Little Oils And Romance? When they say there’s an oil for that…. there’s an oil for that too! Romance is a state of mind, and the first steps in making things happen! Some of the products may be using are not so romantic, so join us for a fun filled class! Oh, and yes were getting a little blush worthy…we are going THERE a little bit! We have some fun giveaways prizes and bonuses for you too. Reserve your spot and have some fun with us! Just CLICK HERE to get started.